Are you ready to purchase a home warranty in South Carolina, but not sure which company to choose? Let us help you here! There are many home warranty companies in the USA, and South Carolina in particular. 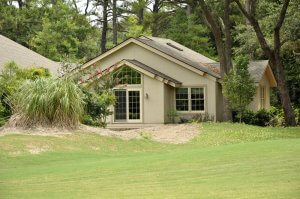 We have collected and carefully analyzed data from different companies and selected the best home warranties in SC. Who needs a home warranty in South Carolina? South Carolina is a beautiful state with 187 miles of coastline, lush gardens, numerous historic sites, and plantations. It also is the twenty-third most populous state in the USA. The overall population in South Carolina is a little over five million people. Almost twenty percent of the South Carolina population lives in the Greenville-Anderson-Mauldin metropolitan area, and the largest city is Charleston with a population of over 134,000. Around sixty-nine percent of the state residents are homeowners, which means high demand for home warranty companies in SC. It is easy to find home warranties in South Carolina for any type of housing, such as single family home, duplex, condominium, or even a mobile home, but it is not that easy to select the right company and the right home warranty plan for you. While selecting the best home warranty plans in South Carolina, it is important to keep in mind several things, such as the age of your house, its location, and which home systems and appliances you would like to offer. Let’s start with the age of your house. Home warranty companies in South Carolina provide coverage for houses of any age, even new construction. Once the manufacturer's warranty has expired, home warranty coverage from companies in South Carolina comes in very handy. Please remember, that in most cases home warranties in SC cannot be combined with the manufacturer's warranty. Almost every appliance that you purchase at a retail store comes with a warranty that usually expires within a year. Many manufacturers offer to extend this warranty. Is it worth doing it or is it better to switch to a home warranty? Check out our research study where we compared these two types of warranties and see which one would work better for you. The older your house gets, its maintenance may cost you more as more home systems and appliances may need repairs or replacements. South Carolina home warranty companies may help you make this cost bearable. You can compare the cost of maintenance for your house to the cost of an average home warranty in South Carolina using our Home Maintenance Calculator. As soon as you enter the age of your house and the number of expected repairs per year, you are immediately able to see the cost of maintenance vs. home warranty. You can make these estimations more precise if you enter the age of your air conditioner, electrical system, refrigerator, and other home appliances. 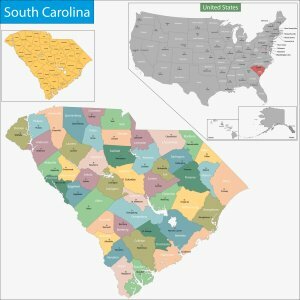 South Carolina is not a big state, with only a total area of 32,030 square miles. The climate is subtropical, which means hot summers, mild winters, and between forty and eighty inches of precipitation per year. Frequent thunderstorms due to the hot and humid conditions may have an impact on the normal operation of your electrical system. What will be the best way to protect it? Home warranty companies in South Carolina have a good answer to this question. For example, Pride Home Warranty covers the electrical system under any of its plans with a coverage cap up to $3,000 per contract term. 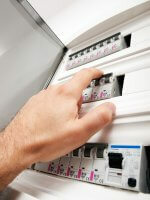 The coverage includes wiring, service panels, subpanels, switches, breaks, outlets, and ground fault interrupters. Another home system that is often used in a hot climate is air conditioning. In summer, the average temperature during the day is 90°F, and the highest temperature recorded was 113°F in Richland County. This means that air conditioning should be kept in a good operational condition and fixed as soon as possible in case any malfunction occurs. Total Home Protection offers of the best-rated home warranty programs in South Carolina covering mechanical parts and components of up to two ducted electrical central air conditioning systems. Alternatively, Old Republic Home Warranty in South Carolina will cover your air conditioner up to $1 500 per contract term. In case you want to cover home systems, but not home appliances, or vice versa, with the best home warranty plans in South Carolina, there are companies, such as Select Home Warranty, that offer separate coverage for home systems and appliances. For $430 a year, you can cover your electrical system, plumbing, air conditioning, heating system, and a water heater under the Gold Care plan. Alternatively, you can purchase coverage of your dishwasher, washer and dryer, oven, refrigerator, and a built-in microwave for the same price. A combo plan that covers both home systems and appliances is also available. Before you sign a contract with a home warranty company, it is important to verify that it is licensed to provide services in your state. In South Carolina, all home warranty companies must obtain a license from the South Carolina Department of Insurance, Division of Consumer and Individual Licensing Services. This authority is responsible for customer protection, regulating the industry, and enforcing the laws of South Carolina. A home warranty in South Carolina is a must-have for many homeowners. Not only does it provide peace of mind, but it also helps save money on home system repairs and replacements of home appliances. According to our Home Maintenance Calculator, the cost of an average home warranty in South Carolina is usually much less than the cost of home maintenance per year. The hot and humid climate in South Carolina has a great impact on the normal operation of electrical systems and air conditioning. This is why these systems should be covered under a home warranty. Most home warranty companies in SC cover them under their plans. We highly recommend carefully reading the home warranty reviews for South Carolina residents in order to avoid any misunderstandings such as denied claims or limited coverage in the future.